He is great scientist and the best organizer and planer when he was selected for higher education commission chairman. But is the out come and where he is now why not we take the benifit for pakistan as we have an international class man.? sir i am realy impressed by your personality ..
assalmao alikum sir I have developed UHPLC/MS method of antiasthmatic drug, as Ii is my PhD related work, need fast publication, can i send it to you at Current pharm analysis. Please cooperate me,. A Hero of Pakistan. I Salute you Dr. Atta Sir. Hello sir I am writing a report on you and would like to know some more information about you. Please E-mail me thank you sir. Basic education or metro bus and roads..?? How to improve education system in Pakistan? Talented people of Pakistan and HEC issues. Engineer Agha Waqar: Fraud or national hero??? Arfa Karim: National asset-National loss-National hope. Exclusive episode from Quaid-e-Azam mausoleum. 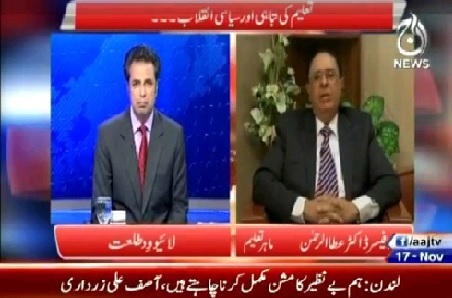 The greater Pakistan : Special episode with Prof Dr Atta-ur-Rahman. 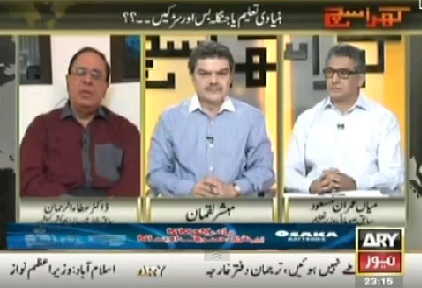 Todays special guest is Prof Dr. Atta-ur-Rahman in Jawab Deyh.